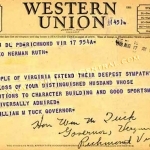 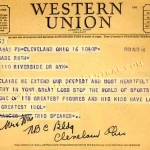 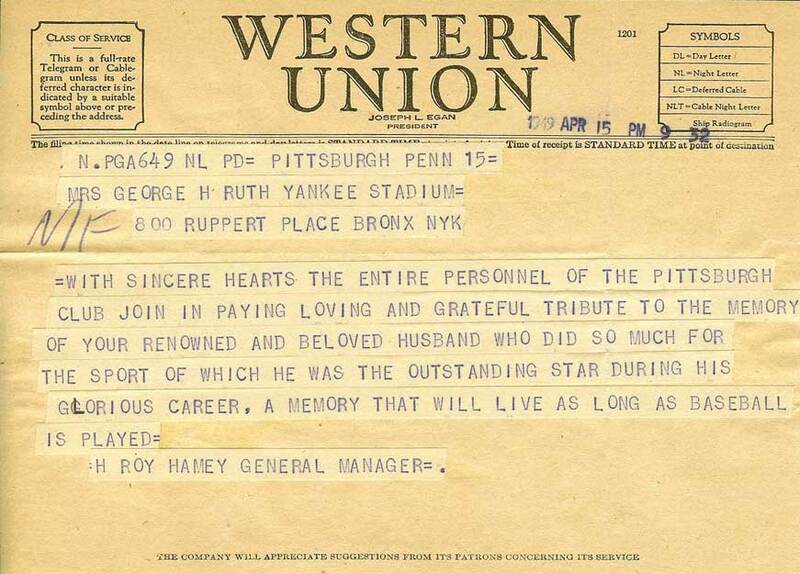 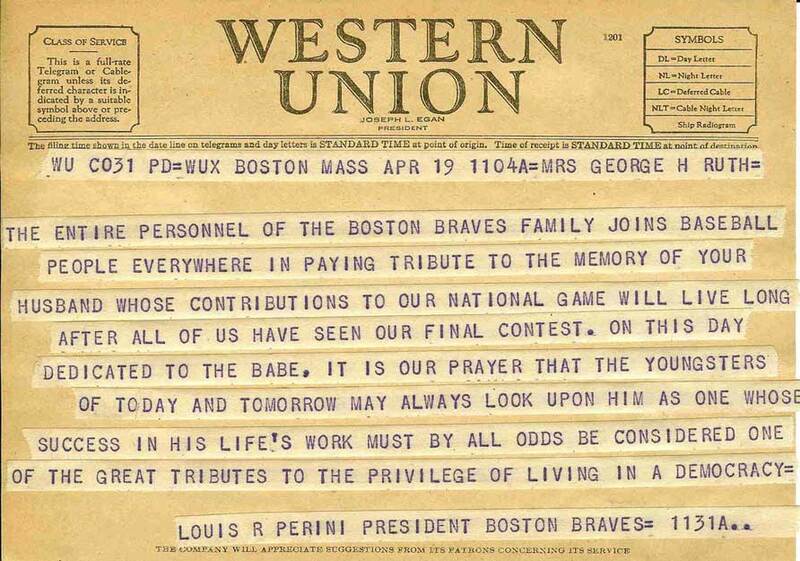 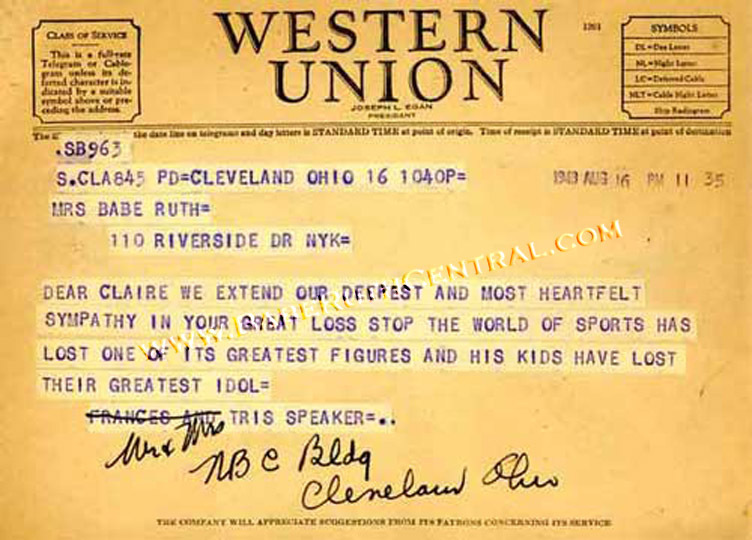 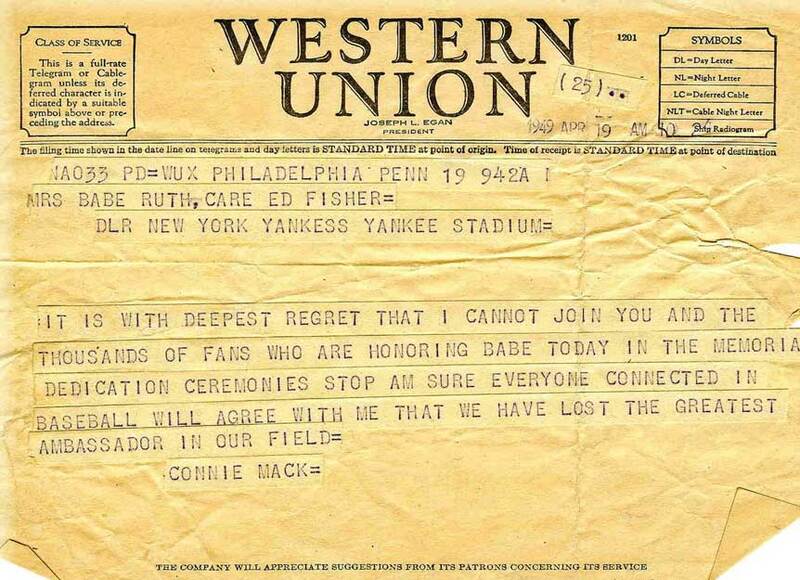 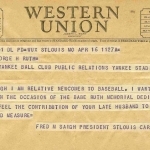 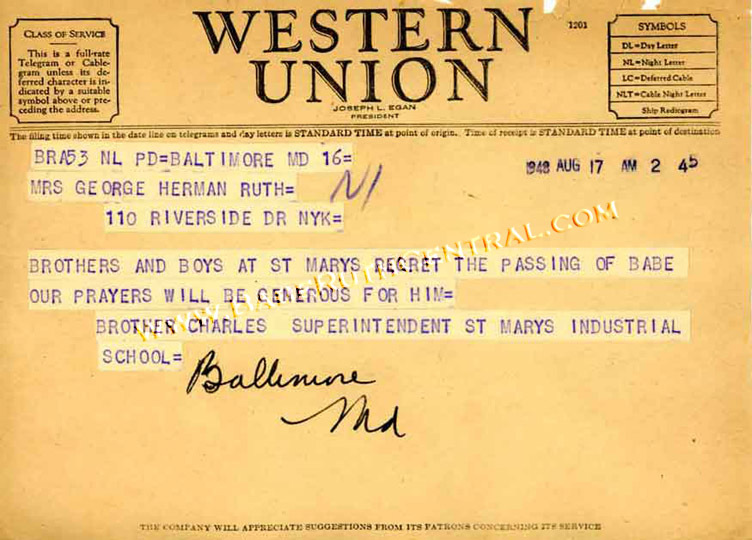 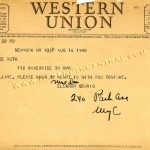 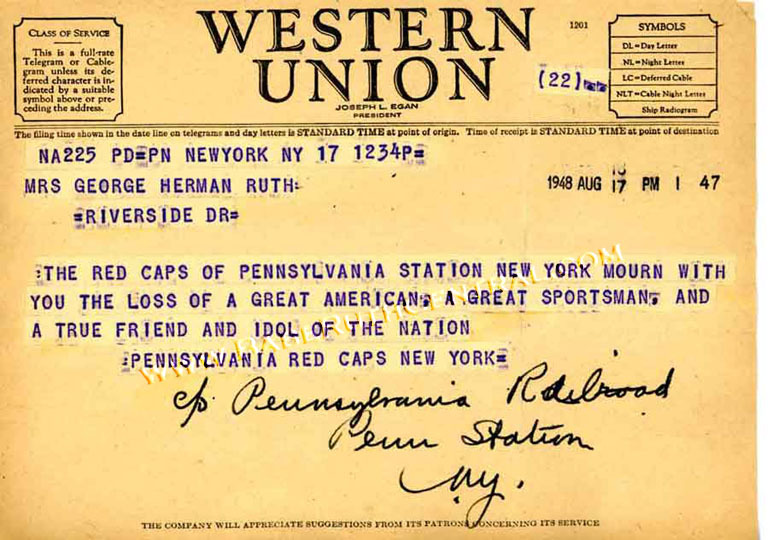 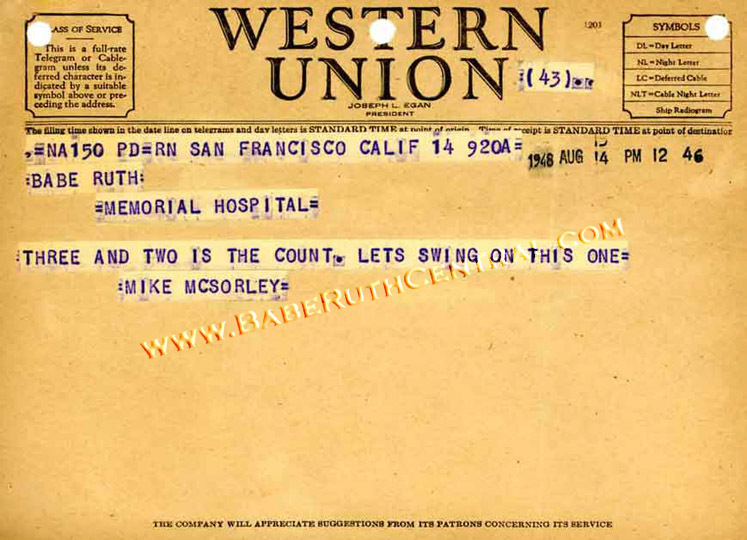 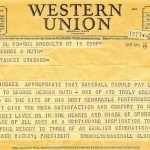 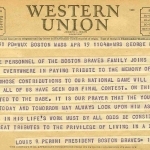 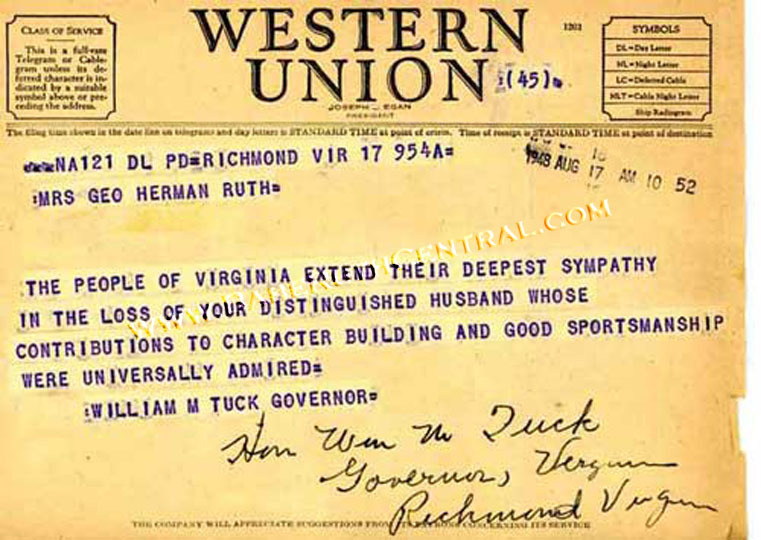 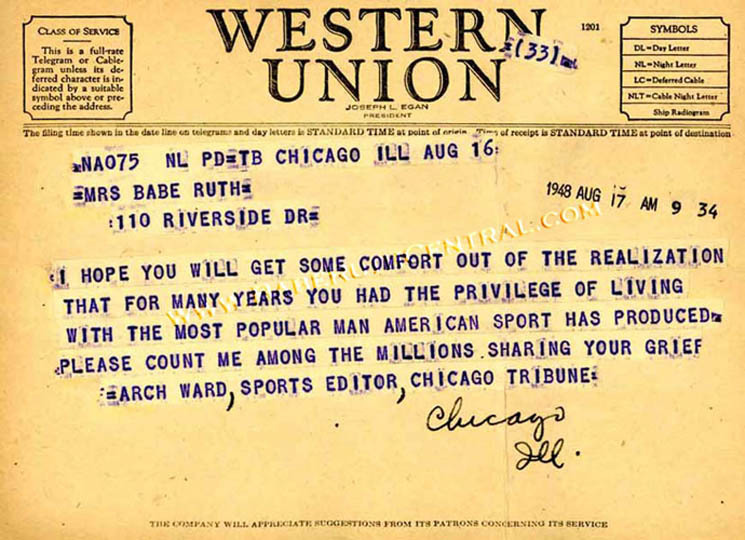 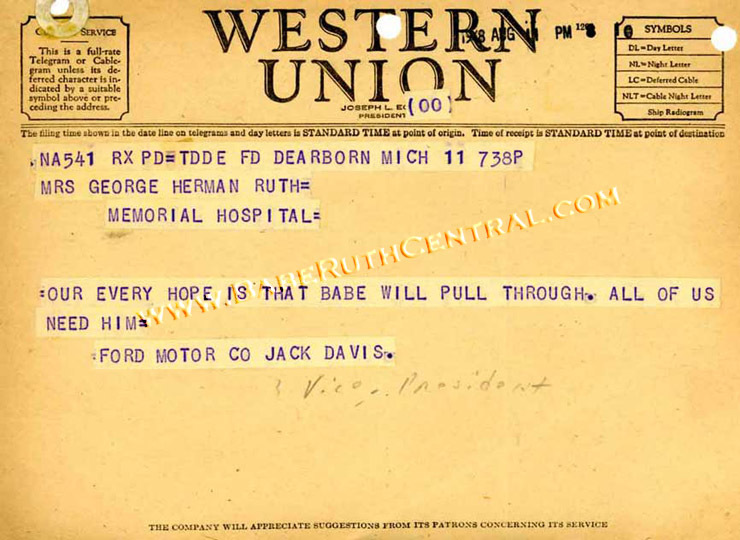 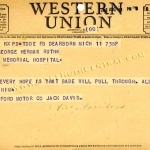 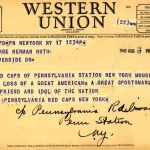 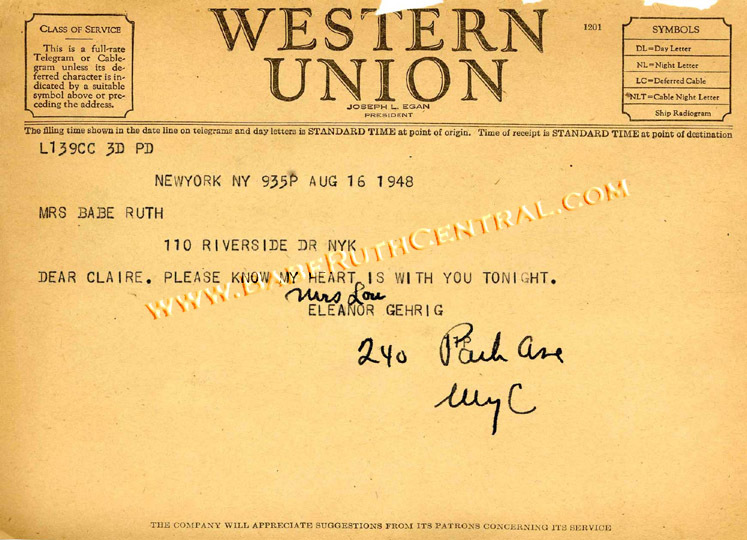 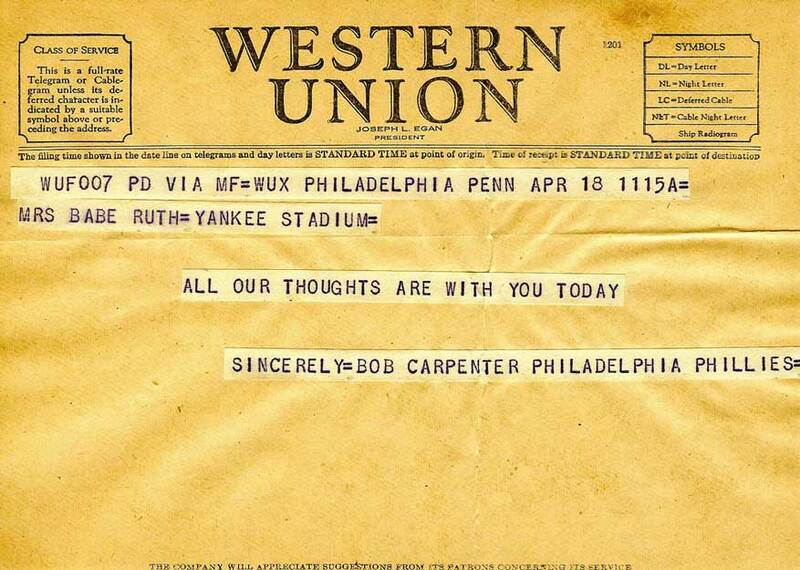 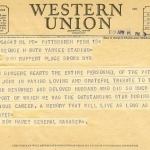 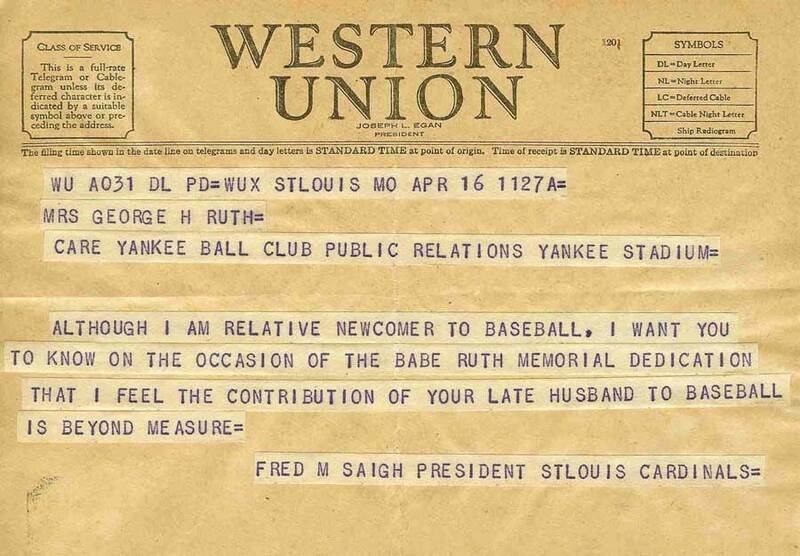 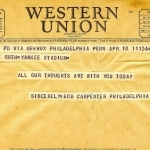 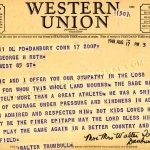 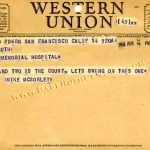 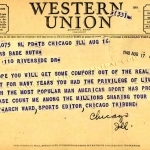 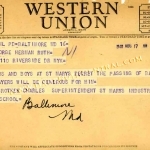 Claire Ruth received hundreds of Western Union telegrams from organizations, notable individuals and Babe’s biggest fans across the country, wishing George well while he spent his final days in the hospital. 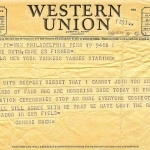 Hundreds more appeared after his passing, all expressing their sorrow and acknowledging not only the family’s loss, but America’s loss as well. 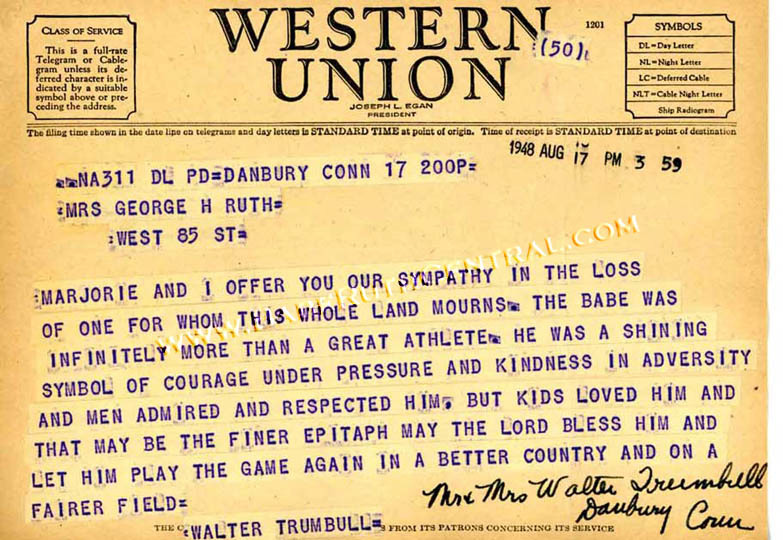 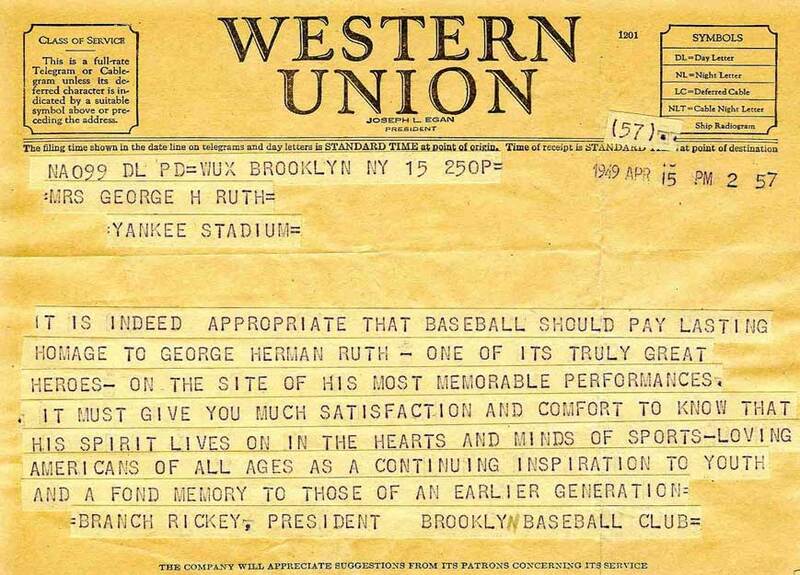 This collection clearly demonstrates Ruth’s impact on baseball, as well as his positive influence on kids and Americans across the country.